No matter whether it comes to grain, meat or milk, the market prices tend to get more volatile. The same trend is happening with many input-prices (especially with mineral fertilizers). Machines and devices certainly get more intelligent and bring more comfort when it comes to work, but at the same time they have an enormous impact on prices. Total production costs are constantly rising! This fact makes agricultural production more difficult. When we start talking to farmers at fairs or events, they moan and complain about their situation. The older ones just claim “…it is not a long time until I receive my pension, until this point I will do my thing…” There is not a big difference to the contractors. So, what should we do? Stop being farmers? Nonsense! For example, regional marketing of the “AMA” is an effective measure against the drop in prices. It creates a certain consciousness for quality and appreciation for regional value. The work on the market is important, but not enough. Furthermore, it is a sign of a country’s quality when more than the “upper 10,000” can afford regional quality products! Someone who wants to persist as a farmer must do hard work, and not only in the field. An evaluation from the year 2014 from the “Arbeitskreis Ackerbau” shows that the better quarter of the farms gets three times the contribution margin of the worse quarter. If you hear that, you may ask yourself where all this money went. You can ask farmers from the “better quarter”, what they are doing differently. If you are lucky, they don´t know, and if you are unlucky, they’ll give you their wisdom and it won´t work for you, or even worse – it may even harm your farm business. Don´t get me wrong, communication with other farmers is important and precious, but you just need to be able to judge the quality of the insights you gain. The best way to get the best results in handling your farm business to not only to be viable, but also profitable, is to: Record – Evaluate – Compare – Plan – Make it better! No business consultant will be able to help you with questions concerning the production, nor with economic questions, as long as there is no valid and long-standing information basis about the farm available. The information that these records deliver and the potential that is stuck in the data is one of the reasons why we invest time into the idea of agricultural record keeping. In my next post, I will talk more about our second motivation for investing time and energy in agriculture and technology – the fascination of technology. 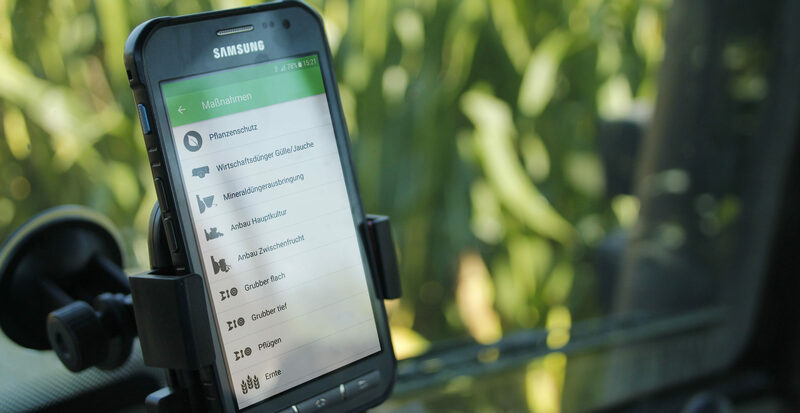 With these articles, we will keep you up to date and tell you about the latest innovations at Farmdok, but we will also discuss practical use and optimization possibilities in agriculture. One by one, we want to exploit fallow potential in agriculture and provide you with tips and idea about where you can find it. Join us and discuss with us! Write us your opinion at blog@farmdok.com.